Felix Sater Is the Third Potential Channel of Trump Collusion With Russia“I will get Putin on this program and we will get Donald elected.” Sounds kind of collusion-y. 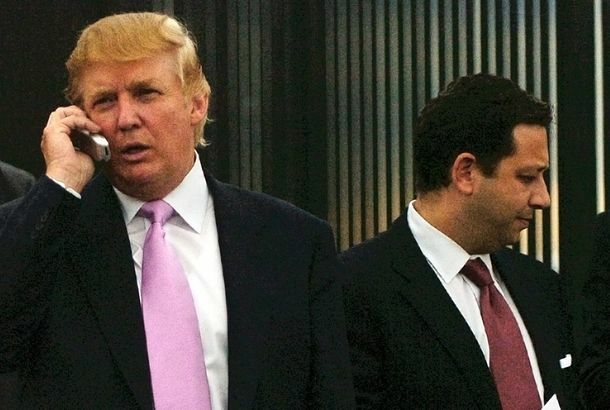 Felix Sater: Donald Trump’s Original Russia ConnectionFelix Sater has cut deals with the FBI, Russian oligarchs, and Donald Trump. He’s also quite a talker. Report: Trump’s Lawyer Involved With Secret Plan to Lift Russian SanctionsThe other two people involved with the plan were a pro-Putin Ukrainian lawmaker and a Trump business associate with links to the mafia.